Ben was in Gravesend in our local area of Kent to install these tier on tier shutters that we had designed for a customers bay window. 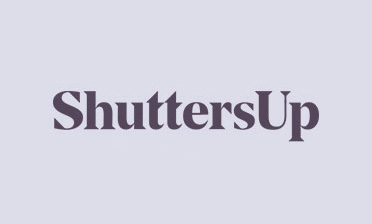 The customer wanted the shutters to fit in with the room and after discussing the options with us in detail opted for certain design elements to achieve this. Firstly they decided to go for this lovely pearly white colour which matched the framing of the bay window. 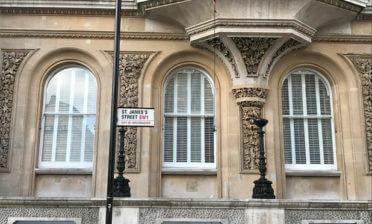 They used brass hinges sat on the shutters with centralised tilt rods down each panel, combined with 76mm louvres. 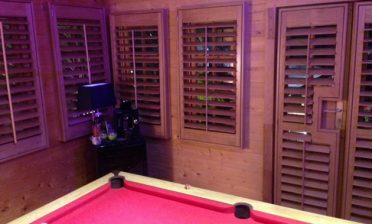 The 76mm louvres are one of our larger options and very popular amongst clients as they allow a great deal of light into the room whilst also maintaining privacy when required. 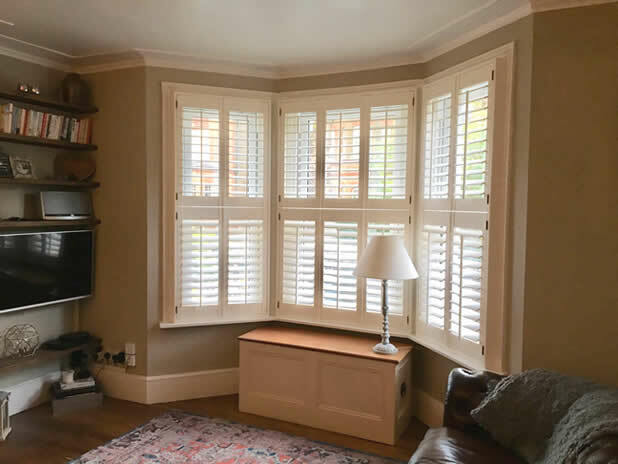 The centralised tilt rods through each panel and touches such as the brass hinges add a feel of tradition to the shutters, working well with the look of the room and staying away from the overly minimal and modern look some clients opt for. We think this traditional look works well on a tier on tier setup against a bay window. Using the tier on tier style combined with the rods, makes for a highly versatile and useable solution for the custom, with literally all parts of the shutters adjustable whenever needed. The tops and bottoms can be closed, opened, part opened, or adjusted all independently, making the most of the lighting and privacy needs from all angles of the bay window. Our customer was very happy with the resulting look and functionality!